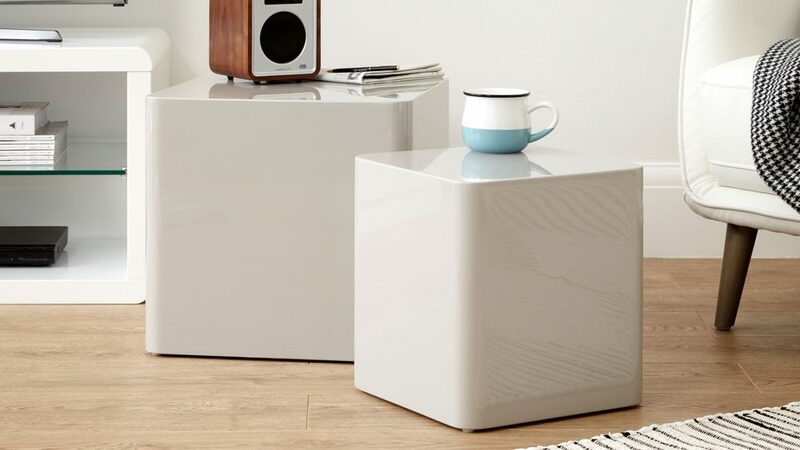 If you are looking for some stylish accents for your home, this set of two modern tactile side tables might be just the product you need to complete your room. 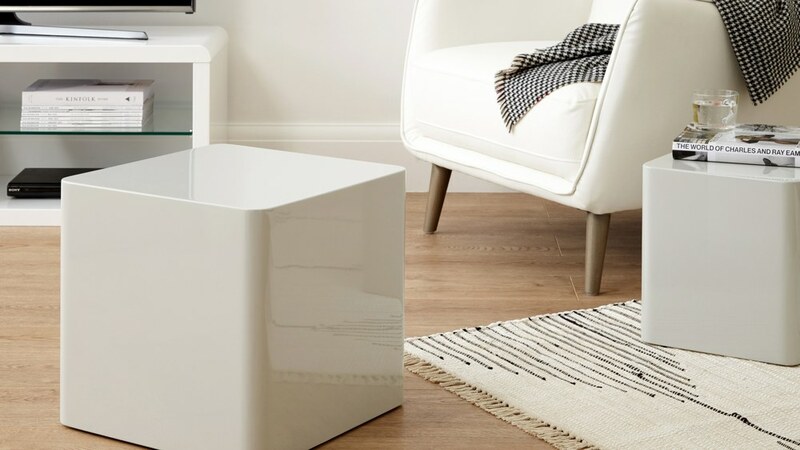 This set of stylish Dice High Gloss Side Tables can be used together or in separate spaces and are ideal for a living room, bedroom, conservatory or a study area. 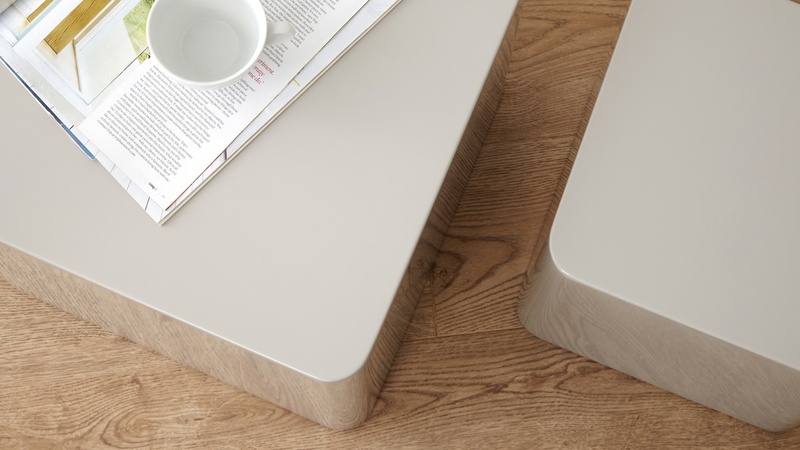 Our Dice Gloss Side Tables are available in a range of finishes. The high gloss finish is crisp and modern whilst the soft grey tone adds a touch of warmth. The dove grey is our own exclusive shade, created by us as a modern and versatile neutral colour for your home. The small table is 30cm in width, 30cm in Depth and 31 cm in height. The larger table is 40cm in width, 40cm in depth and 38cm in height. The smaller size can be stored inside the larger size, simply by sliding the larger table over the top. 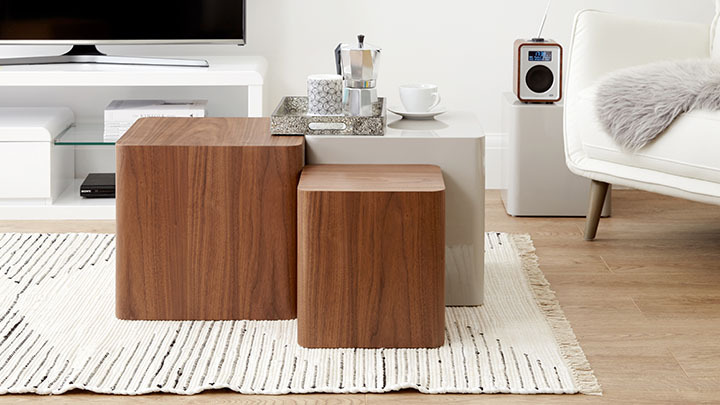 This clever sizing makes the side tables great space savers. The dice shape has rounded corners and edges which soften the look and give the tables a contemporary feel. It also makes the Dice side table much safer around your family and younger children. These tables make a very stylish setting when paired with our Occasional Chairs. This is because they provide the excellent perch for drinks and table lamps, really enhancing your living space. If you are after a more spherical shape, you might want to have a look at our stunning set of White Pebble High Gloss Side Tables. Practical Proportions for Clever Space Saving. The smooth straight lines and clean defined shape of the Dice Side Tables not only gives this set a really sleek and modern look, it also makes them incredibly practical too. The smaller of the side tables can actually be stored inside the larger one, as it neatly slides underneath. This is a feature that could be used when perhaps you have more guests round your house, as you can easily pull up an extra perch for their snacks and drinks and then store the tables away again when not in use. This storage feature alongside the tables dice shape also makes them perfect for smaller homes, as they can easily fit into a variety of spaces to be used as a lamp or side table, without taking up loads of your room.